The issue of Russia’s occupation of Crimea remains relevant on the agenda of the German Bundestag. 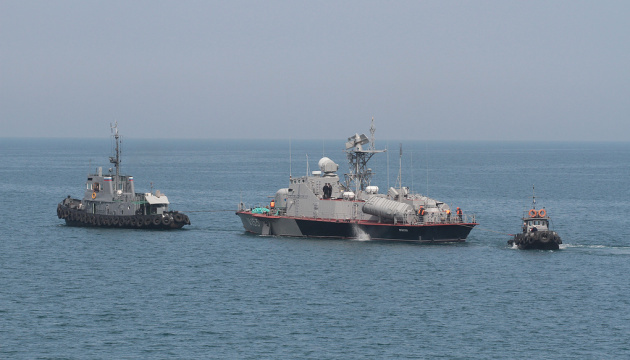 Russia's violation of the norms of international law concerning the blockage of navigation in the waters of the Azov and Black Seas is unacceptable. Member of the German Bundestag Christian Schmidt stated this during a meeting with Deputy Foreign Minister of Ukraine on European Integration Issues Olena Zerkal in Kyiv, the press service of the Foreign Ministry reported. "Olena Zerkal informed the interlocutor about the situation with the blockage by Russia of navigation in the waters of the Azov and Black Seas. Mr. Schmidt confirmed the inadmissibility of Russia's violation of the norms of international law and stressed that the Crimea topics remain relevant on the agenda of the Bundestag," the report reads. The parties noted that the implementation of infrastructure projects is important for the socio-economic development of the city of Mariupol and eastern regions of Ukraine. The Ukrainian side is counting on German support in this area, as well as investment in creating new jobs in the region. The parties agreed on the need to deepen Ukraine's cooperation with NATO in order to confront the current threats to peace and security in Europe.